If you’re a big fan of DIY-ing, you know that once you take it to the next level and start repairing your home, it’s going to mean the world for your family’s budget. However, having the right set of tools for your DIY projects is fundamental and it can turn any job into a successful one. You’re only going to need a basic set of tools for your regular home projects. Let’s take a look at them. Let’s not forget about safety! Experts say that we only need some tools that should cover our DIY projects just fine. 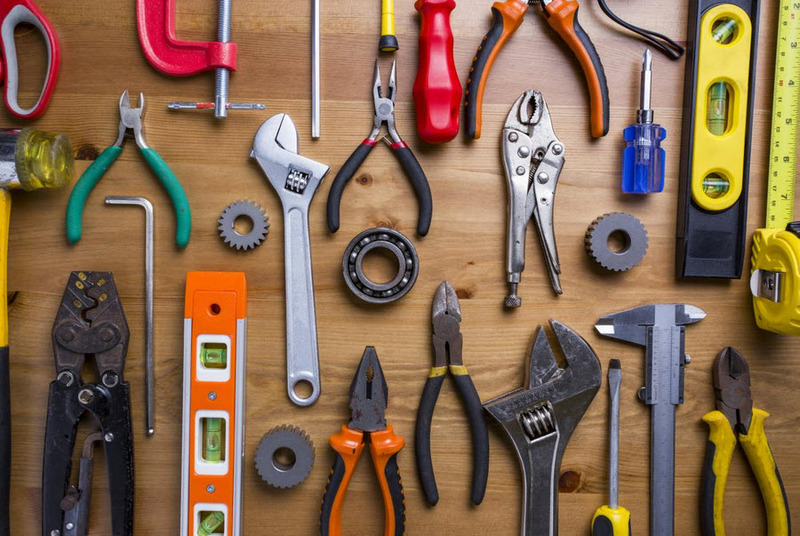 A hammer, a screwdriver set or an adjustable wrench are the first thing to come to mind, but you’re going to need a bit more than that for your DIY work. A nail is pretty useless if you have no hammer for it. You may pry the nails out with a good hammer, but you can also use the hammer for anything implying some whacking. The most versatile hammer is the 16-ounce hammer that comes with a smooth head and a curved claw. You can use this type of hammer for the delicate jobs but also the most difficult ones (repairing a deck). 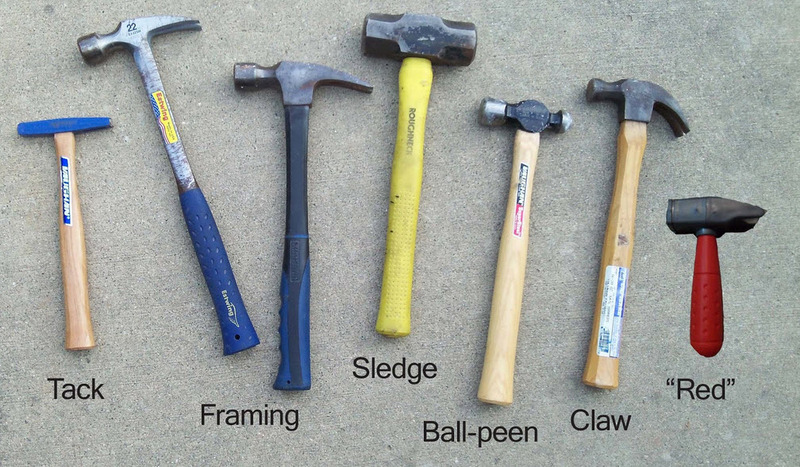 You can go with a wooden or fiberglass handle for your hammer, or choose a metal-handled hammer, which is almost indestructible. You want it to have a good grip and a good balance too. Things that don’t come with screws or nails, are going to be connected with some bolts or nuts. A good wrench is going to help you loosen the bolts. 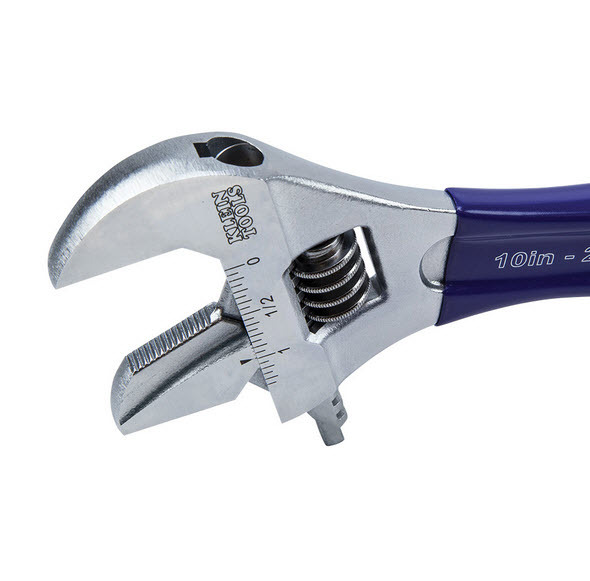 However, you should get an adjustable wrench as you may alter its size for grasping nuts of various sizes. It’s wiser to buy wrenches of various lengths. For instance, you’re going to use a 6-in wrench in the tight spaces, whereas a 10-in wrench is going to give you more leverage for loosening the bolts. Either way, a good wrench comes with a good handle and a wide jaw opening. It’s easy to adjust and stays in place once it’s adjusted to the new size. There are plenty of things around your house that come with screws. Anytime you’re going to need to fix a doorknob, a cabinet door or some piece of furniture, you’re going to need to use a screwdriver. Most of the screws out there are either flat-headed or come with a small cross in the middle (Philips). You need to use both the flat-head screwdriver and the Philips type, which gives you 2 types- to say the least. 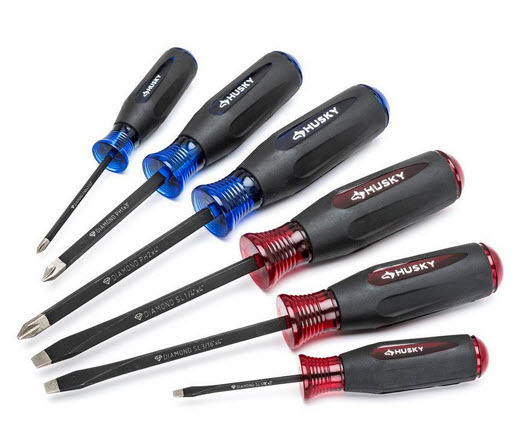 It’s wise to buy a basic screwdriver set that includes a good variety of sizes and types. If you’re determined to save some space in your toolbox, you should get a single multi-bit screwdriver. It has just one handle and several bits that you may choose from according to the screws. No matter which way you go with, a good screwdriver should have a sturdy and comfortable grip, especially if you’re using it on a regular basis. If you’re planning to hang some cabinets or any other heavy objects, you need to be 100% sure that they’re going to stay in place. If you’re just going to hang them on a piece of drywall with nothing behind it, chances are they’re going to pull right out soon enough. Mounting them securely and fastening them into your wooden wall studs is fundamental. Unfortunately, the studs are typically hidden behind the drywall so you’re not going to be able to spot them. It’s going to take some time and practice until you learn to knock on the wall, figuring out where the stud is placed, based on the sound. 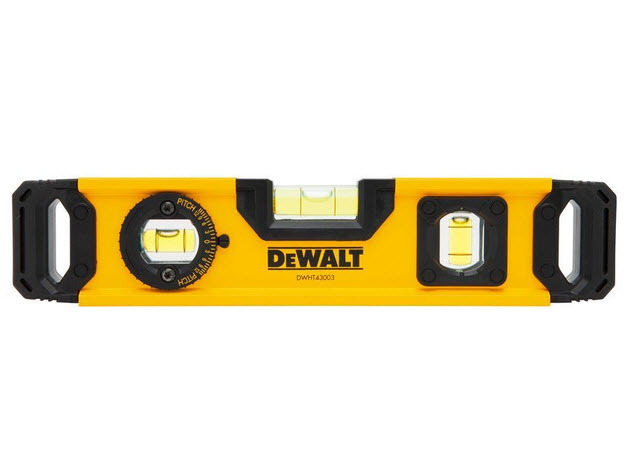 Using a stud finder is going to be more efficient and, needless to say, it’s going to eliminate all that trial and error time. The most effective stud finders present a magnet inside so they’re not going to find the stud per se, but the metal screws that are securing the studs to your drywall. You can find stud finders with two built-in magnets with less than $10. When you’re ready to make an investment on the long run, go with an electronic stud finder. Be ready to pay $50 for a good one. 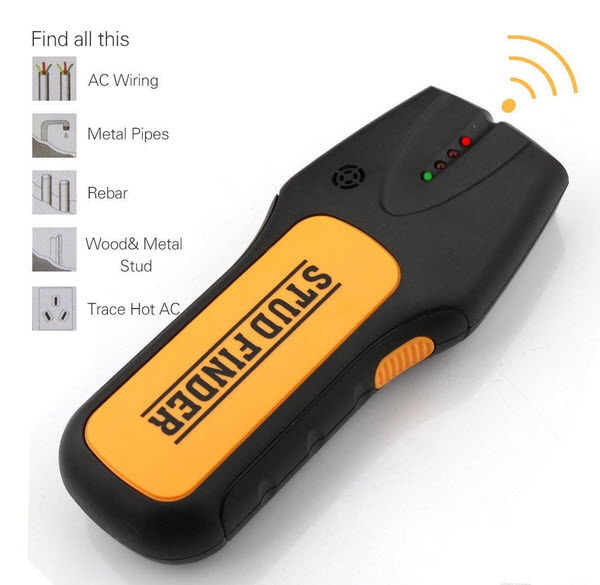 The electronic stud finder is battery-powered and points the precise location of the stud. This is going to ease up the whole mapping of the studs. You can also find electronic stud finders that feature sound alerts so you may stay away from the metal or the wires. Is your wallet big enough? Pay the $200 for a stud finder that locates both copper pipes and electrical wires. However, if you’re the DIY homeowner, this model of stud finder may be too much for your needs. When you’re in the middle of a DIY job, it’s only a matter of time until you’re going to have to grasp onto something so that you may turn or pull. You may try use your fingers for grabbing, but you’re not going to have the same force. You should go with pliers that gave metal teeth on one end and long handles so that you handle it easier. You may use the pliers for removing some plumbing fixtures, loosening nuts or straightening bent power plugs. On the side note, keep in mind that there are multiple types of pliers and each of them works better for specific jobs. However, make sure you get locking pliers as they come with adjustable jaws that are easy to resize for more versatility. 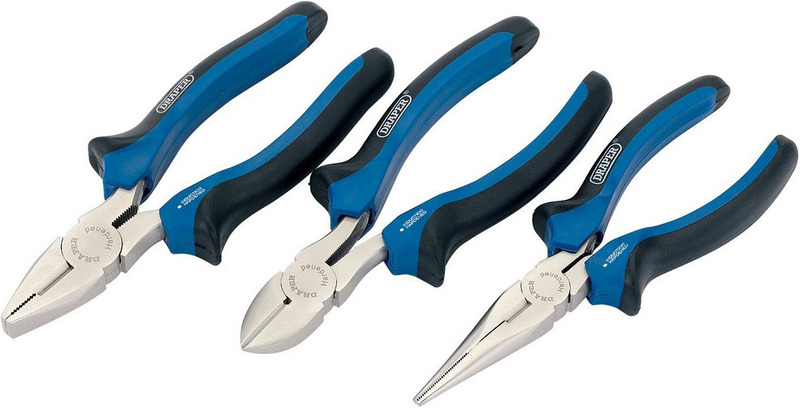 As a dedicated DIY-er look for the needle-nose pliers as well as their narrow and long tips get into the tight spaces. The jaws should be aligned, with no risk for twist or wobble. You know your pliers are good when they have a firm grasp without minimizing the comfort. They should be adjustable and easy to lock/unlock. The adjustable pliers come with extra-wide jaws and no matter how you use them, the jaws are going to remain parallel. They’re strong enough to grasp almost anything, allowing you to bend/turn in so many ways. 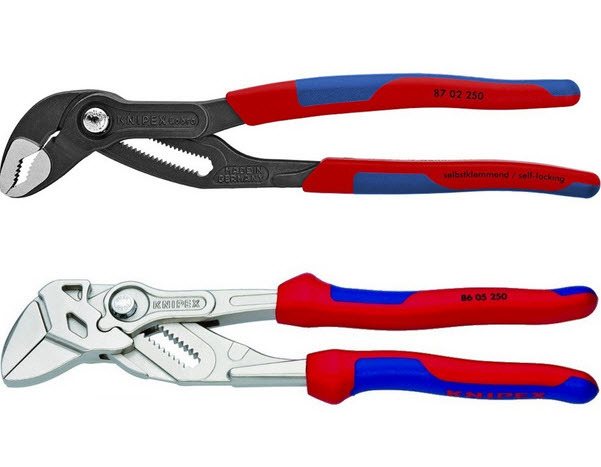 The adjustable pliers are great for installing a toilet, tightening up plumbing or adjusting the garage doors. 10-inch pliers are the most versatile size as they ensure efficient leverage, without sacrificing the portability. The best adjustable pliers out there come with padded handles and V-shaped jaws gripping hex-shaped, round or flat objects really easy. Seek that the pliers you buy are in fact easy to adjust. Ideally, you only need to push a button so don’t settle with just anything. It doesn’t make sense that you get a hammer and no nails. You should buy a good variety of nails and screws, from the tiny ones to the several inches long type. 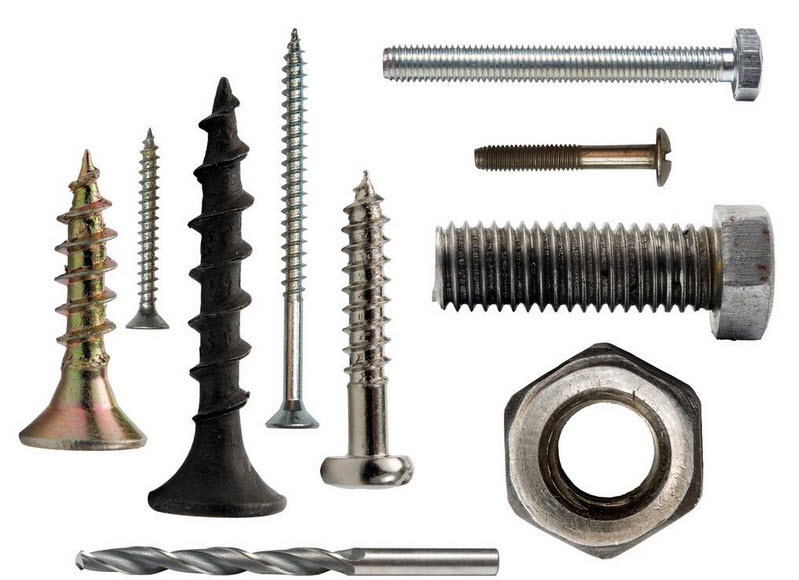 As opposed to nails that only differ in size, the screws come in different types as well. Some are better to use for attaching something to a drywall, whereas others work better for fastening wood. Vinyl sinkers– they come with a vinyl coating that eases their hammering, but makes the pulling a lot more difficult. Finishing nails– they’re great to have around the house for the small repairs. They’re great for hanging pictures. Outdoor screws– they are rust-resistant and useful when building decks or various outdoor projects. You can find screws made of stainless steel or coated for extra-protection. Drywall screws– they’re coated with black phosphate and are made for attaching drywall to studs. You can use them for all sorts of indoor jobs. Galvanized nails– they present a rust-resistant finish that recommends them for the outdoor projects. The diversity of handsaws is overwhelming and you shouldn’t take a stab in the dark when buying a handsaw. You should go with a toothed cutting blade attached to the handle and work your way up to the more sophisticated or more specific handsaws, according to your needs and skills. 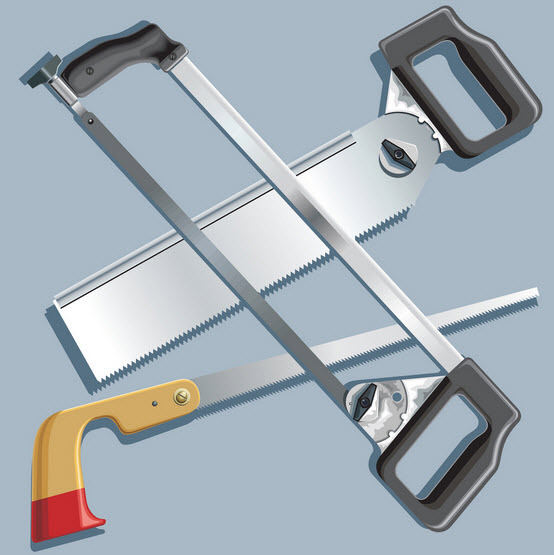 Do due diligence and find out one or two things about the types of saws out there. The more you’re willing to spend, the higher the chances to get a more versatile saw. The replaceable blade, the number of teeth per inch- these are all features that count when buying a saw. Make sure you get the right one for a specific DIY project, nevertheless. Even though a hand saw is a versatile option for many cutting jobs, it’s limited to the small jobs. When you have to cut an impressive amounts of wood, a circular saw is going to work a lot better. This saw isn’t just efficient and strong, but also really dangerous so you do need to know your way around when using it. Some are going to suggest that the cordless circular saw may work in a small work shop, but this is far from the truth. 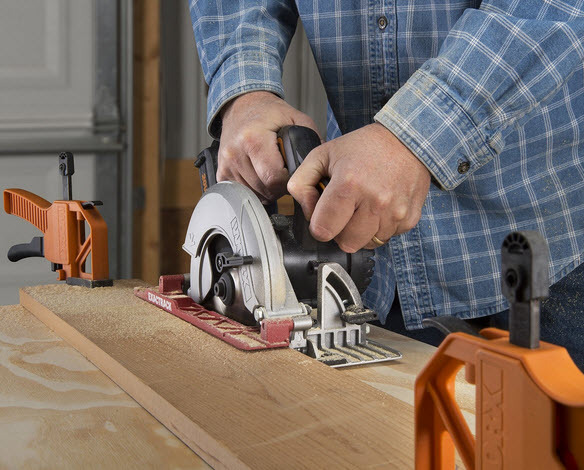 A cordless circular saw isn’t going to match the power and performance of a corded model. Pay the extra buck for a corded sidewinder saw so that you can complete your jobs a lot easier. This is one power tool that you really need as DIY-er. It’s in fact a two tools in one: a power driver and a drill. You can make holes of various sizes thanks to the drill function, but also drive screws a lot faster and easier. If you have to screw in many screws in a short amount of time, the power drill is going to save you plenty of time. Some experts recommend the cordless drill for the DIY use. Even though they’re not as strong as the corded models, they give you more freedom of movement in any job. 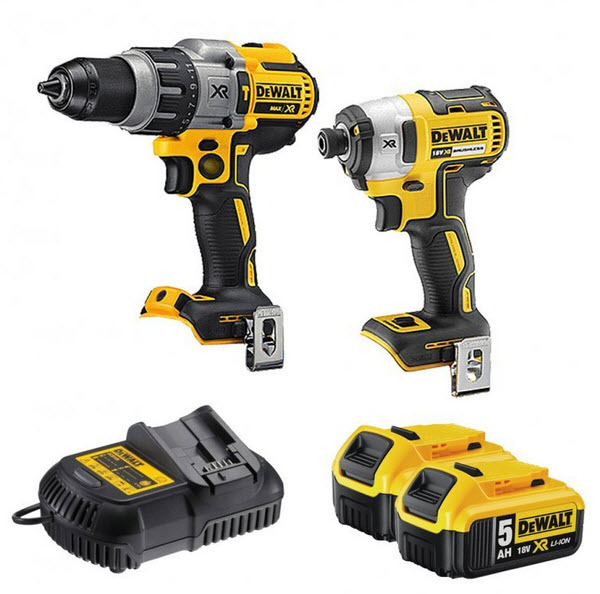 A 12-volt cordless drill with Li-Io batteries is the most reliable option for the DIY jobs. Light, small and strong enough for most tasks, this type of drill is one wise investment to make. However, should you need to finish more difficult jobs, don’t be afraid to look for a stronger option. A good drill isn’t just powerful, but also very well made and comfortable to use for a long time. You’re not going to be able to trim some wallpaper or open some boxes with the scissors, so a sharp knife should be added on your tools list. 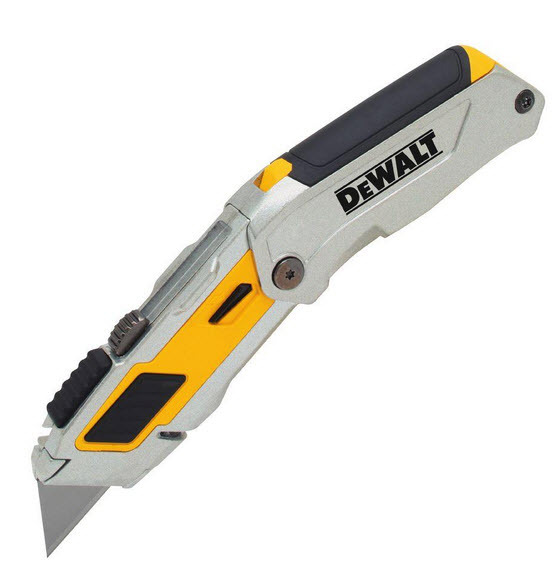 Look for a utility knife with its blade stored inside the handle. It’s a lot safer to have one of these around the house. You can use it for marking notches on boards, shaving wood or even sharpening a pencil. You want it to have a comfy and secure handle. If it also comes with built-in storage for some extra blades, that’s even better. Some features are worth having on a utility knife. A belt hook for carrying, the possibility to lock it into various positions or the ability to close/open it with just one hand- are very useful on a utility knife. The utility knife isn’t the only type of knife to use on your DIY jobs as the putty knife (scraper) is going to make plenty of DIY projects a lot easier. You can use it for smoothing down wood putty or spackle, for removing caulk around a tub or scraping off a wallpaper. You can also pry open a can with its narrow blade. A good putty knife should be narrow enough to fit into tight spaces, yet wide enough to fill some large cracks. 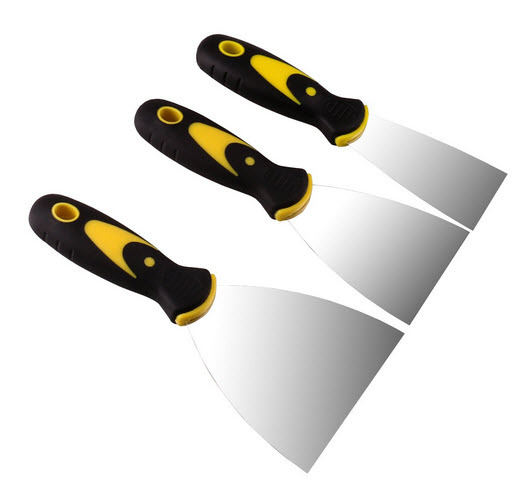 Look for a putty knife that has a flexible stainless steel blade that is both easy to clean and resistant to rust. The handle has to be comfortable and long. When you’re into DIY projects, it’s only a matter of time until you’re going to be building something with shelves. A level is what you need for making sure that the books aren’t going to slide off. The bubble level is small and flat and it’s very easy to use. Most levels come with a vertical vial which helps you check if the vertical lines are accurate or not. When you’re installing some cabinets or simply hanging some pictures, a good level is going to ensure precision on the job. Get a mini-level with two vials of liquids as it’s going to fit just fine in any tool box. If you’re taking a bigger job, you should take a leap of faith with a four-foot level. Ready to step up your game? Get a laser level which is going to project level lines with just a touch of button. Be ready to get even $100 out of your pockets for this type of level. 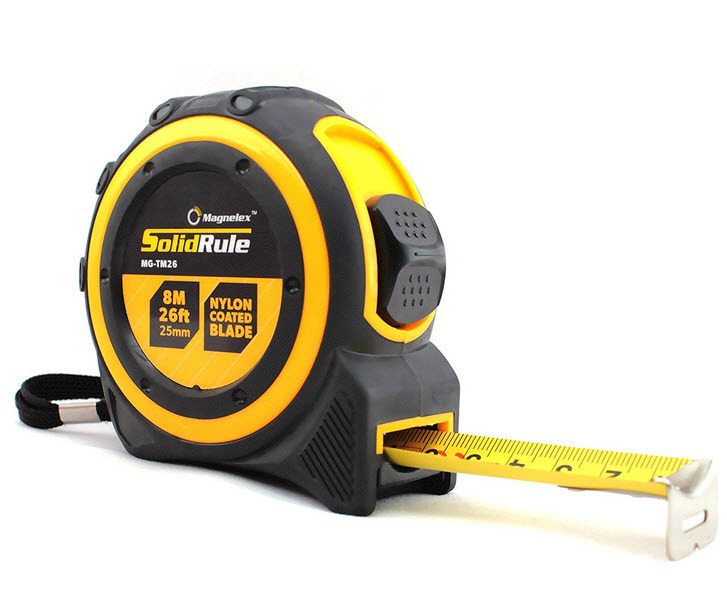 Accurate measurements are fundamental for many DIY jobs so a good tape measure should be on your list of tools. It’s better to go with a locking and retracting tape measure. You should be able to feed out the tape steadily without holding it down. Once you’re done with the measurements, you should retract the tape with just a touch of the button. Good tape measure is going to serve you for a good amount of time so don’t hesitate to pay the extra buck for a good one. Expect to pay $20 for a heavy-duty and long lasting 25-ft tape measure. It has to come with a durable case and blade. It’s great if you can lock the lever with just one hand. The tang has to be large enough for a firm grip wherever you’re going to put it. If the case is colorful, that’s even better as it’s going to help you spot it easier in your tool box. Duct tape– You may use it for patching a tor tarp but you cannot use it (ironically) for ducts as it doesn’t handle heat. 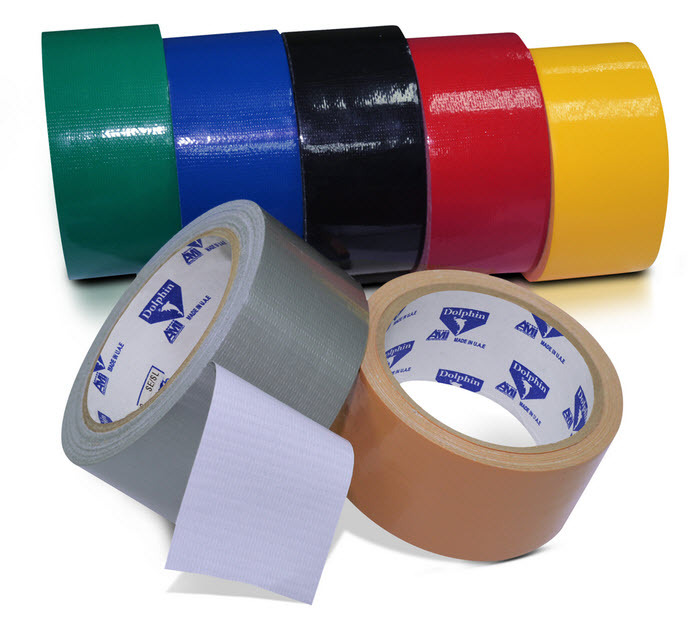 Electrical tape– you’re going to need to use this type of tape for insulating the electrical wires. Made of vinyl, the electrical tape stretches just fine and ensures efficient insulation. You can use it for covering some pipes in the colder season or for repairing damaged wires. Plumber’s tape– it’s a light and thin tape made of Teflon. It helps you seal the threaded end of a pipe a lot better. Painter’s tape-this is a lightly sticky tape that you may use for covering moldings/edges of the ceiling before you start painting. It’s easy to remove and it’s not going to damage the surface either. No matter how well is your workshop lighted, you may find yourself in a pickle sometimes due to poor lighting. Not only that you need more light when going to dark crevasses, but you also need to be prepared when the power is out. You need a flashlight and it’s easy to find one that gives you plenty of light without breaking the bank. However, it’s worth spending the extra-buck on a LED flashlight made of sturdy aluminum. A rechargeable flashlight is always a good choice, whereas an electric headlamp leaves your hands free as you can easily mount it on your forehead. Once you got yourself a nice variety of tools, you’re going to need a place to store them. 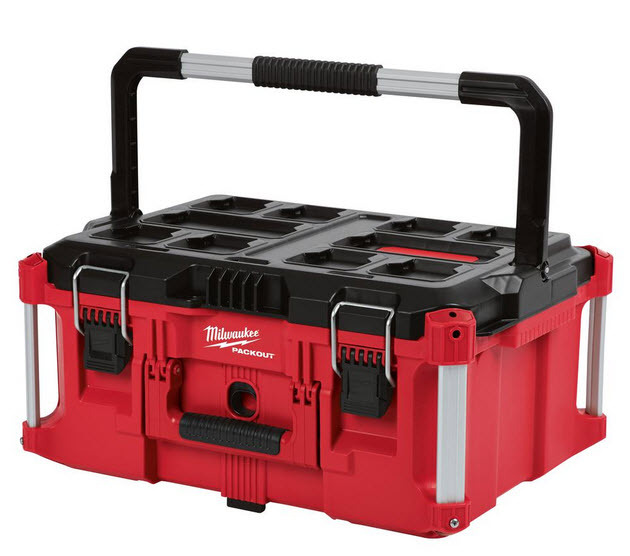 Look for a well-organized tool box that is ready to take the intense use for a long time. 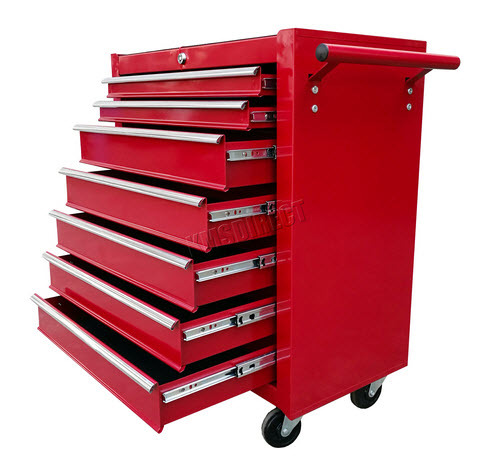 A reliable toolbox has to be large enough to store all your tools, but also easy to carry and very well made. The latch and lid have to be secure so that the box doesn’t open by accident at any time. You can find toolboxes that come with several compartments that are great for organizing your tools. Look for one that also contains a lift-out tray for the smaller tools. However, you don’t want it to have too many compartments as it’s going to limit the possibilities of using the box per se. Most of the professionals out there recommend a vertical tool bin which is very easy to use. Even if a tool box doesn’t save you money, it does save you time as it’s going to be easier for you to find any tool you need. Complicated DIY project can go south pretty fast so you do need to stay safe at all times. Dust, fumes, flying splinters do pose a risk so get together some pieces of safety gear too. A good pair of thick gloves is going to protect your hands from all sorts of dangers. You should look for the gloves that feature stop splinters, but also provide protection from heat, cold or electric shock. Even though the gloves may not protect you when hitting your thumb with a hammer, at least it’s going to reduce the injury. Good gloves are also going to allow a firm and comfortable grip on your tools. When working with some chemicals, it’s better to use a cheaper pair so you don’t ruin the good ones. When you’re working, you may inhale a lot of dust or particles. The mask is essential especially when you’re working with some fiberglass insulation or you’re sanding/sawing. You can get disposable dust mask for $1 each and they come in low-cost packs. If you’re going to have to deal with some dangerous vapors, it’s better that you use a respirator. You can seal them really tight for blocking out fumes. They feature a built-in filter cartridge that is going to absorb the harmful gasses before they get to your lungs. You also need to protect your eyes from the sawdust or the flying debris in your workshop. Some drops of stain or chemicals may get into your eyes too so you should have goggles within reach. Lightweight, yet sturdy and secure, the goggles need to be a good fit and to come with nice padding for increased comfort. Ventilation is also important as you don’t want them to fog up. 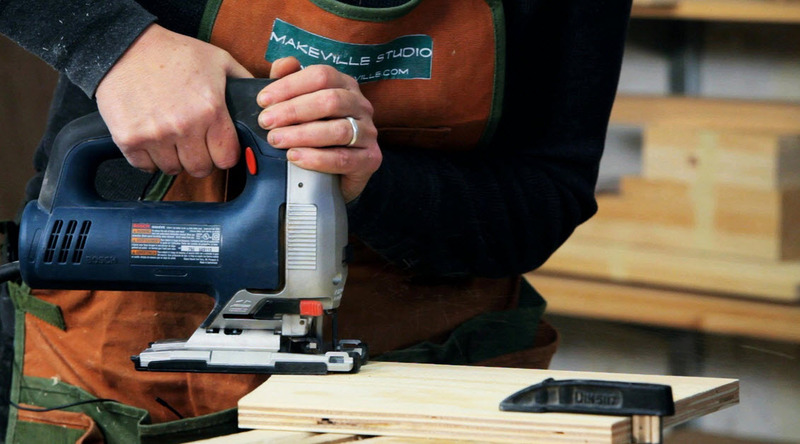 The more you work on your DIY skills, the more you’re going to have to expand your toolkit. If painting is your thing, a wide range of brushes and rollers is a must for your needs. When you really like the woodworking, you may also have to get a nail gun (check out every Nail Gun at bestnetreview.com), clamps, a miter saw, a square and even an orbital sander. Some extension cords or a volt meter complete the tool kit when developing some electrical jobs. No matter your final interests, remember that a tool becomes fundamental only if you’re going to use it on a regular basis. Don’t pay the extra buck on a tool that you’re only going to use once a year. How to use the tools is more important and keep in mind that you should learn to walk before you start runnin’. Previous Do You Need A Jigsaw For Your Home? Next How to Pick An Air Compressor For Your Woodworking Shop?